If it seems that a lot has been written about hybrid cloud lately, that’s because there has – it is one of the hottest topics in the technology world, if not the hottest. 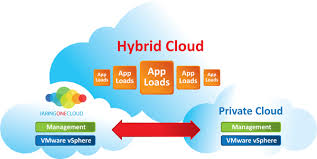 The hybrid cloud is a combination of a private IT infrastructure and a public cloud. The public and private cloud infrastructures then communicate over an encrypted connection and can port data and applications back and forth. Hybrid cloud is hot because it delivers real benefits: increased speed of access time and reduced latency because of an on-premise, private infrastructure that is accessible directly as opposed to through the internet; more flexibility to have on-premises infrastructure that can support the average workload and to leverage the public cloud when the workload exceeds the power of the private cloud component; and more flexibility in server designs that can lower the costs of storage. These benefits (there are many more, but the list would be too long) have IT departments excited to leverage hybrid cloud. As organizations gain experience with hybrid cloud, we are seeing more and more written about it. Most of what is written focuses on the hard-core IT issues. Industry blogs often dig deep in the ability to port applications from on-premise to the cloud and back without requiring re-architecting the apps or hitting major bumps in the workload function. Or, they might be about the ability to migrate server workloads to the cloud. This is clearly important stuff, but it is only painting half the picture. No one is talking much about where the information feeding these applications lives, or about how to ensure the information is accessible as needed. This is why we need to see the full picture on hybrid cloud. The reality is the information will live all over the place and business workers will need unified access to it, without having to know the location. We should be talking about hybrid search equally as much as we talk about the other issues related to hybrid cloud. This is because end-user search experience is extremely important to executing successful IT projects. We have seen this up-close-and-in-person in the VDI market. Many organizations rolled out virtual desktops to employees and followed the best practice of turning off Windows indexing. When users went to search for their information, they were unable to do so and revolted. That is a lose-lose scenario. The solution, in that case, is X1 Search Virtual Edition – the only search solution that is architected specifically for VDI environments. The lesson from VDI is simple: do not forget the business workers that will need to do their jobs (which tends to require finding their important emails and files quickly and efficiently). Products like X1 Rapid Discovery enable hybrid search that lets IT glean all the benefits of hybrid cloud while ensuring end-users are happy with their ability to find information. If we learn from that lesson as we venture into the hybrid cloud, we can avoid the nightmares that come when users are less than thrilled with the solutions IT rolls out to them. If we think about hybrid search now, IT departments embracing hybrid cloud can be heroes to the C-Level executives tracking performance and to the business workers they serve.